ZooMaa’s first outing as OpTic’s substitute didn’t go well. The 2019 CWL Pro League got off to a hot start Monday evening, but the same can’t be said about the defending open event champions, OpTic Gaming. 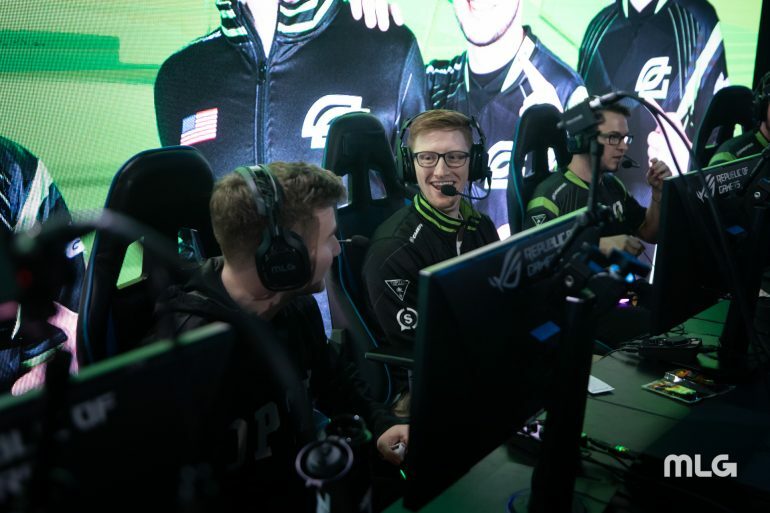 OpTic, who dominated the 2018 CWL Las Vegas Open in December, began regular season play without their star player, Brandon “Dashy” Otell. Due to visa issues, Dashy was unable to make it to Columbus, Ohio for OpTic’s match against Midnight Esports. His absence was very noticeable as the four core OpTic players and their substitute, Tommy “ZooMaa” Paparatto, looked uncomfortable together. Midnight picked up a 35-point Hardpoint win to take the series lead, and they easily took the subsequent Search and Destroy to go up 2-0. The third map was another one-sided affair, allowing Midnight to sweep the team many believe is the best on the planet. Red Reserve also picked up a 3-0 win on the opening day of the CWL Pro League. In a meeting with fellow European team Reciprocity, Red rolled right through the opposition to notch their first win of the season. The first full day of the 2019 CWL Pro League is Tuesday, when all eight teams from Division A will play. The matches begin at 2pm CT with Gen.G vs. Red Reserve.